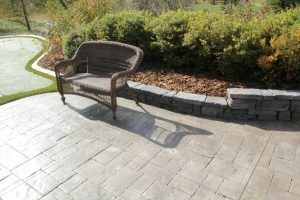 Concrete patio with park bench and artificial grass - Curb Design Inc. Concrete patio with park bench and artificial grass. Putting green on the left and small retaining wall.